By now, it’s quite apparent that the bring your own device (BYOD) trend is here to stay. However, an alarming 80% of organizations are ill-prepared for this trend, implementing inefficient BYOD strategies and not addressing the proper risks inherent to the phenomenon. 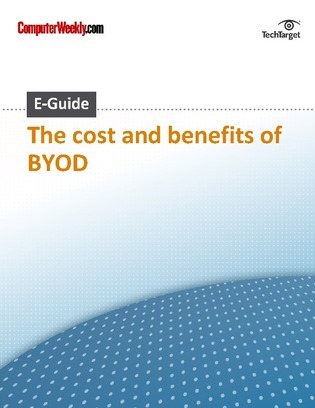 In this E-Guide from ComputerWeekly.com, explore the many benefits BYOD has to offer and the subsequent data security risks you must be aware of. In addition, get help analyzing the costs and advantages of allowing consumer-based mobile devices in the workplace.